Be sure to check out the 10:00 news tonight (Monday, 2/27/17) to watch the KTTC “Athlete of the Week” segment. Or, in this case, Athletes of the Week. The O’Reilly brothers were selected after catching reporter Chris Barriere’s attention for their collective performances at the Section 1A Tournament this past Saturday. The 2017 Individual Section Tournament has been moved to a one day format on Saturday. Here is a link to a PDF file of the new Individual Section Tournament Schedule. 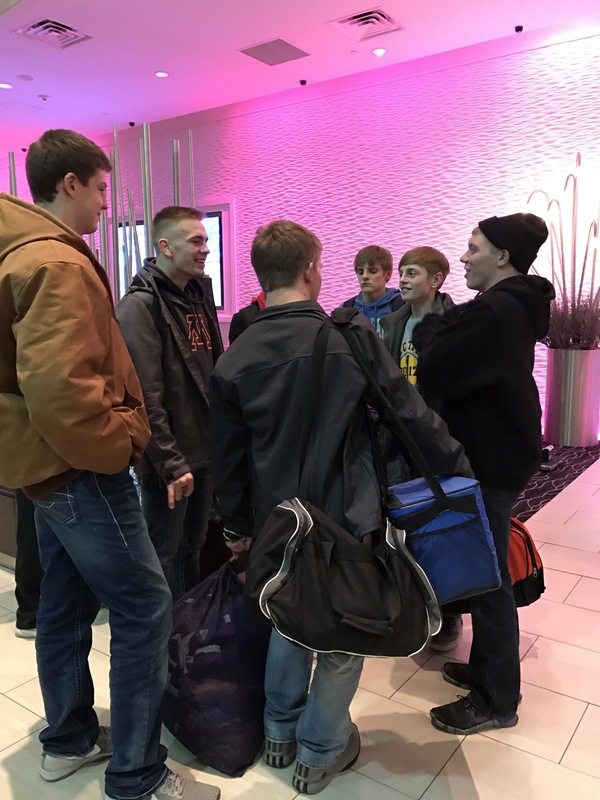 The wrestlers left Thursday night ahead of the storm and are currently hunkered in hotel rooms in downtown Rochester. Coach Lexvold and Mason (pictured below) were two of many that had to ride snowmobiles to get to school in the 2014 blizzard so we could get to Sections. A four wheel drive tractor with blade had fortunately cleared a path on Hwy. 58 that allowed two Suburbans to haul us to the Civic Center, because the bus wasn’t able to go and Hwy 52 was shut down. If you’re unable to make it to the Mayo Civic Center on Saturday, you can follow our progress via our Twitter account as well as Track Wrestling, where you can find brackets and live scoring dashboard. To access the brackets at any time, or to follow the live scoring while the tourney is in action, go to www.trackwrestling.com. Follow these steps: click on “Browse” at the top, then click on “Tournaments”, then “Search Events” and type in “MSHSL” in ‘Event Name’ box and click ‘Search’ at the bottom. 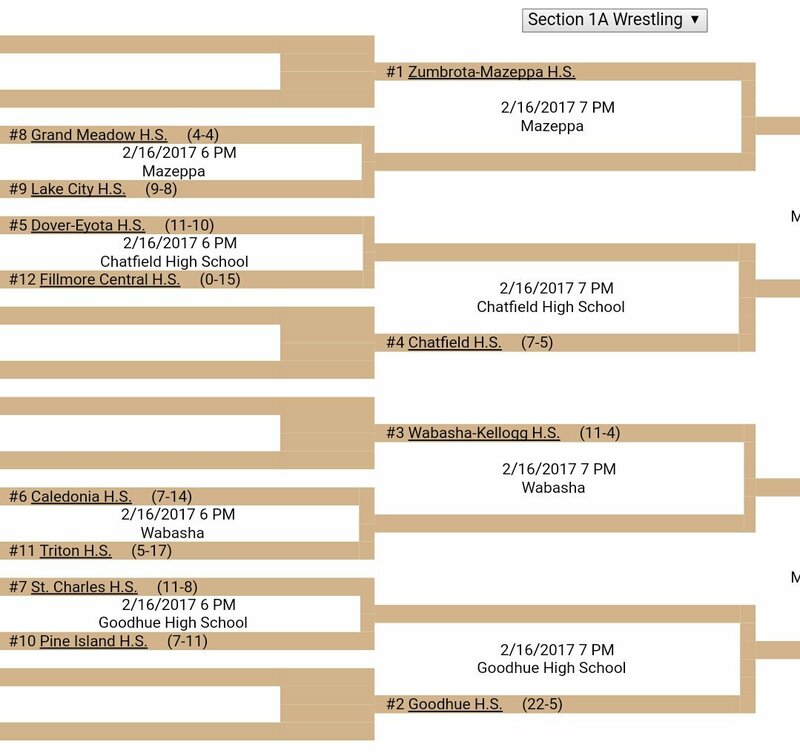 The Section 1A tournament is/should be at the top. Nine of our 13 athletes are seeded. All will be competing hard to pursue their goals and reach the Section 1A podium! 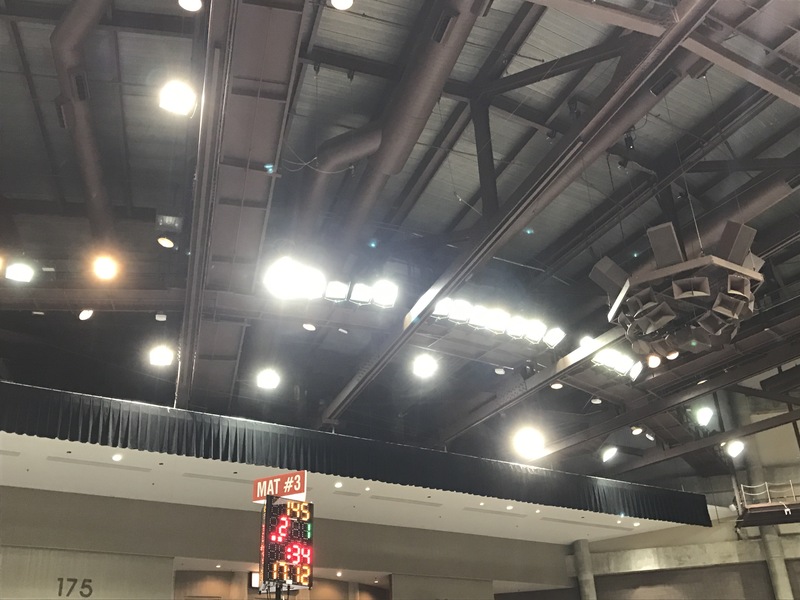 The lights are on at the Mayo Civic Center! Getting ready for weigh-ins now. 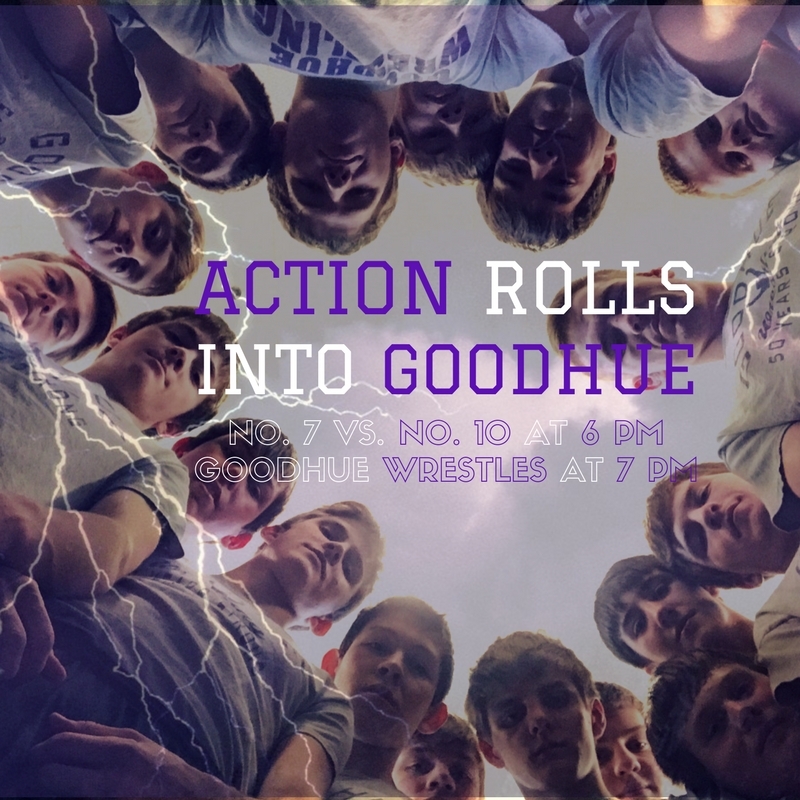 Goodhue faces #3 seed Wabasha-Kellogg at 1:00 pm on Mat 3! Winner moves to the finals on Mat 1. Let’s go! Match Day -Team Sections start tonight! St. Charles, the #7 seed, faces the #10 seeded Pine Island in the 6:00 bout. 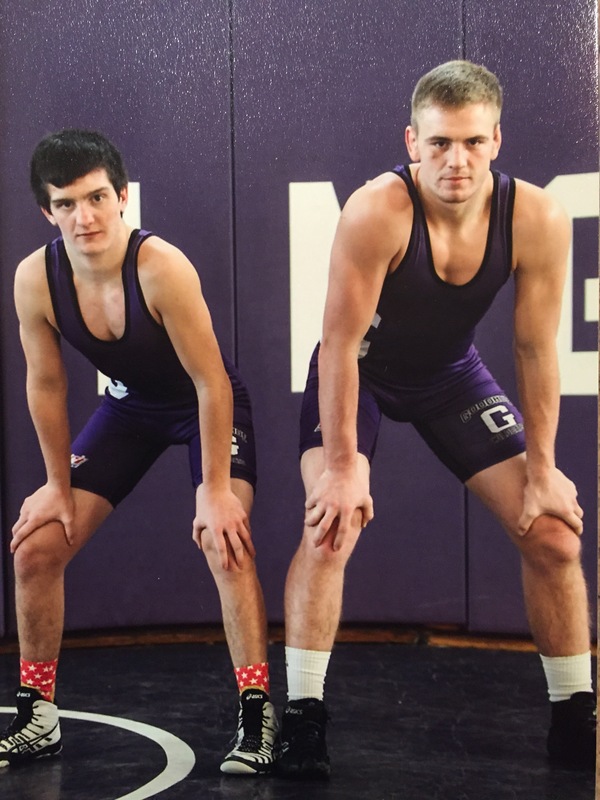 The winner will advance to the quarter-finals to face #2 Goodhue 15 minutes after the conclusion of the first round. See you tonight!